Has your family recently expanded? Or perhaps you just want the convenience of driving a spacious vehicle to transport people or personal belongings? Then the 2018 Chrysler Pacifica for sale in Tempe, AZ, is the ideal answer! With its stylish exterior design, a roomy, comfortable interior for up to eight passengers or converted to cubic 140.5 feet for cargo and all the latest in technology, this minivan will provide years of dependable service. 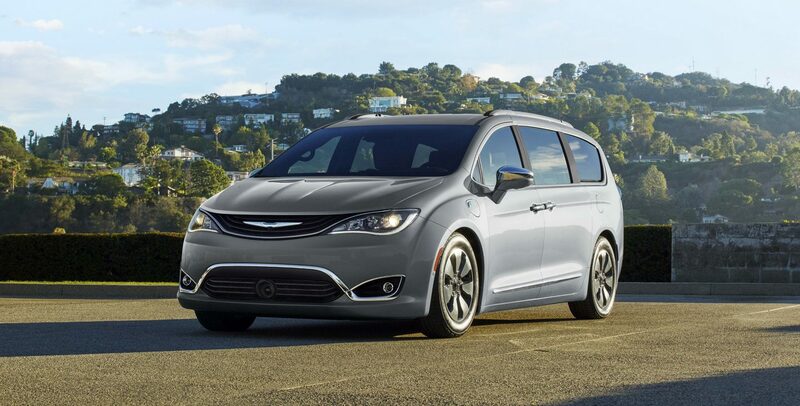 If you’re near Glendale or near Gilbert, AZ, come test drive a 2018 Chrysler Pacifica near Phoenix, AZ, at Tempe Chrysler Jeep Dodge RAM and find out why this incredible minivan is the perfect solution to all your transportation needs. In the capacious cabin of the 2018 Chrysler Pacifica there’s available perforated leather trim bucket seats, 2nd/3rd-row Stow ‘n Go seats, an available power 8-way front driver/passenger seats, available 3-zone automatic temperature control, available heated front/2nd-row seats, steering wheel mounted controls, available heated, leather-wrapped steering wheel, available rear ambient lighting plus standard rear reading courtesy lamps. 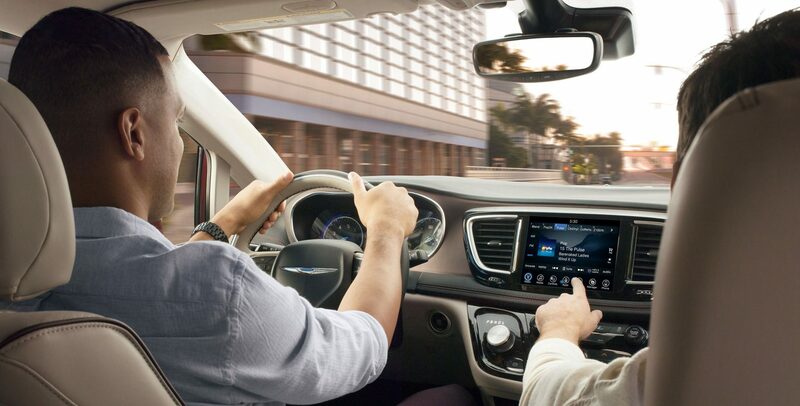 To keep you aware of your driving situation there’s an available 7.0-inch full color TFT display, a standard ParkView® rear back-up camera, available ParkSense® front and rear park assist with stop, available Lane Departure Warning Plus and an available 360-degree surround view camera system. You’ll stay connected via an available 4C NAV with 8.4-inch display, available GPS navigation, remote USB charging ports with third-row availability, integrated voice command with Bluetooth® in addition to available SiriusXM® Traffic Plus. When it comes to entertainment, there’s an available 13-speaker Alpine® speaker system or available Harmon Kardon® 20-speaker system with a 760-watt amplifier. And for the kids, there’s an available Blu-ray® video system with seatback video screens, perfect for long road trips. With a lot going for it under the hood, the 2018 Chrysler Pacifica in Tempe, AZ, is equipped with the popular 3.6-liter Pentastar® V6 engine paired with a nine-speed FWD automatic transmission. This combo produces 287 horsepower, 262 lb-ft. of torque and offers best-in-class towing of up to 3,600 pounds, just right for that camper, ATV or boat trailer. With electronic stability control, electric power steering, rack & pinion steering, independent MacPherson front/independent twist blade with coli spring rear suspension, this front-wheel drive provides solid performance. And with a frame built with dual-phase, high-strength, lightweight steel you’ll always experience driving confidence when taking on the roads near Phoenix or in Tempe, AZ. 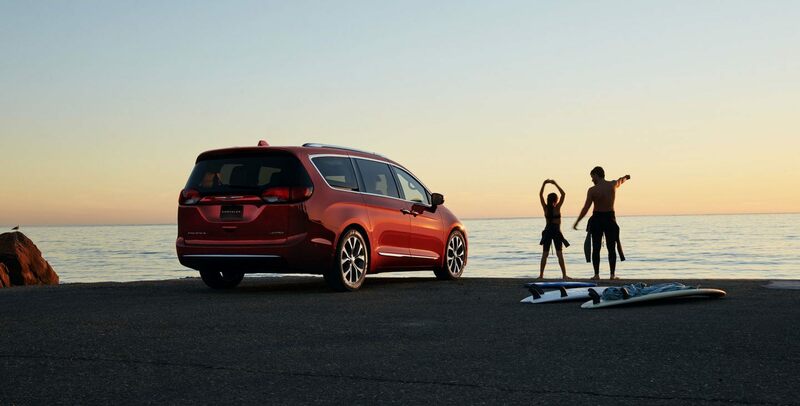 Come check out our 2018 Chrysler Pacifica near Phoenix, AZ, and test drive this family-friendly vehicle. Then talk to your Tempe Chrysler Jeep Dodge RAM sales consultant to see how we can put you in one today!